If you are anticipating roof restoration or home expansion in the near future. If you already have a low energy bill. As a general rule of thumb, solar panels only begin to start “paying for themselves” after seven years. Therefore, if you are planning on selling or moving within that timeframe, solar panels may not make financial sense or be a worthy investment. In most cases where homeowners moved or sold within the first seven years after installing solar panels, the solar panel addition did not improve the value of the home enough to breakeven on the upfront costs. In some cases, the solar panels even hindered the sale due to the buyout costs at closing. Another factor in purchasing solar panels is the condition of the roof. In many cases solar panel companies may approve a roof for solar panels, however it is highly recommended that the roof is inspected and approved by an independent contractor. If the solar panels outlive the roof, they will likely cause additional costs for the removal and remounting of the panels when the roof is replaced. When it comes to financing a home with an existing solar panels, there is an extensive checklist that any lender must review and approve before someone can buy your home or before you will be able to refinance. This includes a copy of the solar lease agreement as well as the power purchase agreement if the homeowner has contracted to sell some of their energy to the local power company. Additionally, the following items must be verified in the lease agreement and title report or the loan is ineligible for conventional financing. 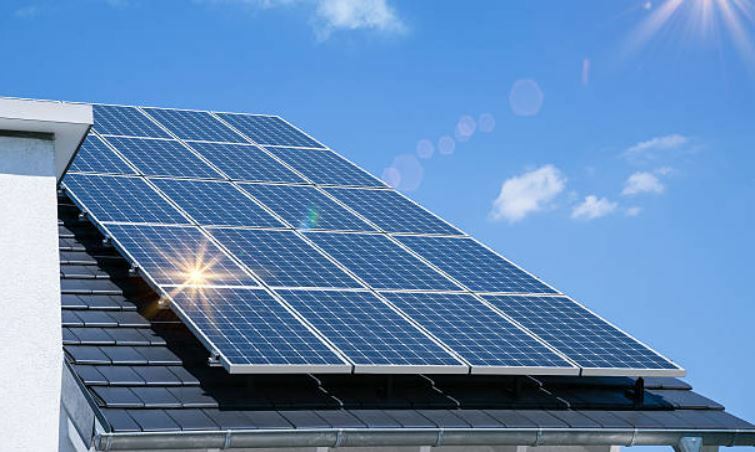 Any damage that results from installation, malfunction, defect, or the removal of the solar panels is the responsibility of the owner of the equipment (which is typically the solar leasing company not the homeowner). The solar leasing company must agree to NOT be listed as insured by the property homeowner’s insurance policy. The lease payment must be considered in the homebuyer’s debt to income ratios, this means it will be harder to qualify for the home purchase with a solar system lease in place. The appraiser must confirm the property has access to an alternate source of electric power that meets the community standards. The solar lease must allow the new mortgage lender to have first lien position, effectively subordinating their lien priority to the new mortgage lender. In the event of foreclosure, the lender has the discretion to terminate the lease/agreement and require the solar leasing company remove the equipment. In the event of foreclosure, the lender has the discretion to either take over the lease at the existing terms or enter into a new agreement with the leasing company under terms no less favorable than the prior owner. If, after considering the above, you decide solar panels are a good investment for your home, be certain to receive bids and quotes from multiple solar panel companies in your area. A report issued by the U.S. Department of Energy’s National Renewable Energy Laboratory recommends that consumers compare as many solar options as possible to avoid paying inflated prices or getting into contracts with high fees and/or interest rates. Solar panels can be a great investment for your home, however it’s important to know the risks involved. For more information or with any questions contact your Berkshire Hathaway HomeServices Utah Properties agent.